ACMS offers a diverse group of academic and community physician a opportunity to advocate for their patients, their profession and share educational and social events. 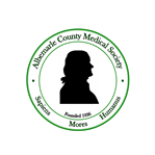 ACMS physicians practice or reside in Albemarle or the surrounding counties. Members reflect many specialties with varying interests. We may be in private practice, be employees, retired, residents or medical students. By sponsoring ” Walk With a Doc” we wish to encourage our patients and ourselves to develop the positive habits that allow us to be healthier persons, healthier families and in the end, a healthier community.